A new school year means new classroom displays! And if you’re a teacher looking for inspiration, you’ve landed in the right place. Today we’re going to show you how to make a really easy classroom wall display that doubles up as an interactive attendance register. It’ll look great in your classroom and you could even nominate one child per week to be in charge of noting down who is present/absent – a great way to teach them responsibility. Let’s read on to find out what to do! On your chosen piece of wall (perhaps somewhere near the whiteboard where the whole class can see it), stick a large piece of cardboard to the wall with VELCRO® Brand Stick On Tape. 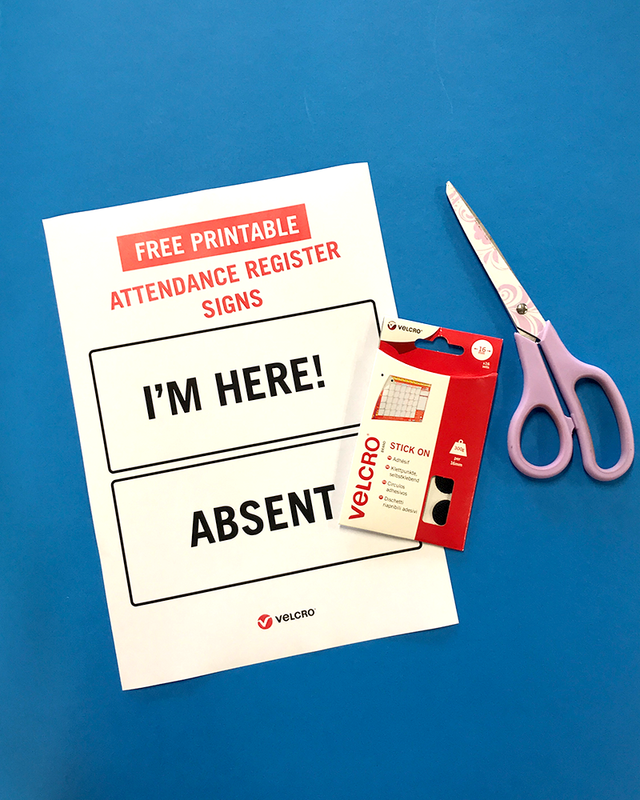 Then download and print our free printable signs – you’ll need one that says “I’m here” and another one that says “Absent”. Stick each sign onto the cardboard with VELCRO® Brand Stick On Coins (remember, there will probably always be more children in school than absent from it so make sure you give the “I’m here” section the most space. Take the scratchy side of each coin (the hook) and stick them onto the display. Remember, the ‘I’m here’ section will need enough for when every pupil is in. 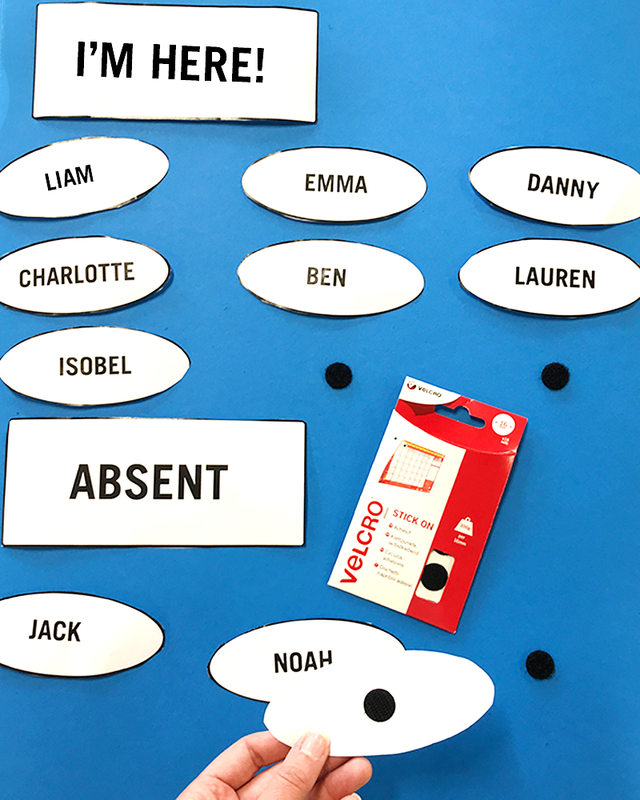 Finally, print out the names of all the children in your class and cut them out (or write them onto pieces of paper) and stick the other half of your VELCRO® Brand Stick On Coins (the loop) to the back of each name. Then your attendance register classroom display is ready to use! Let us know if you have a go at this classroom display idea – we’re @VELCROBRANDUK on Instagram! And for even more inspiring ways to use VELCRO® Brand fasteners, stay on our blog or check out our Instagram feed!